Lori Holt of Bee in my Bonnet Company is excited to celebrate her favorite season with a new book from It's Sew Emma - Vintage Christmas! 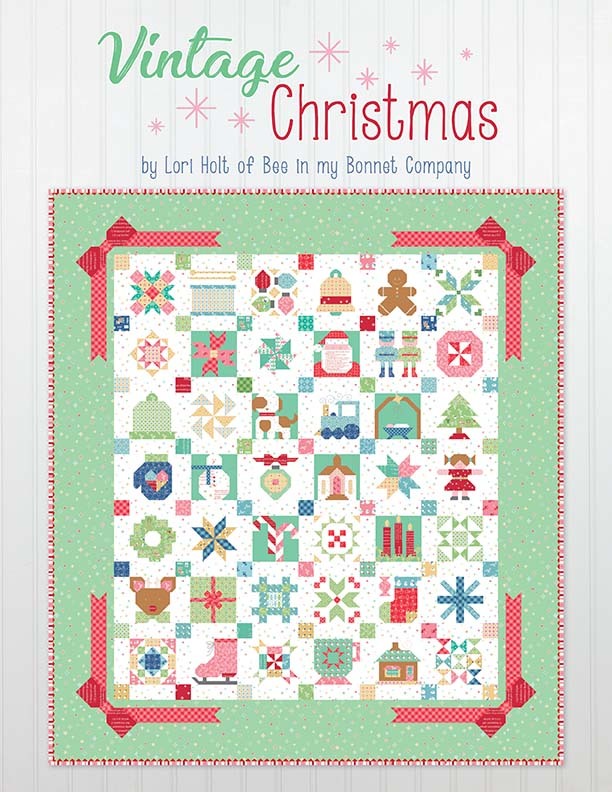 Step into Lori's scrappy happy Vintage world this Christmas season with all-new quilt blocks and over ten quilty projects. Her 42 blocks are available in both 6" and 12" sizes, so they work perfectly with her previous books, and mix traditional blocks and adorable one-of-a-kind picture blocks. Have a favorite block and not sure where to start? Lori has you covered . . . her book also includes the stunning Vintage Christmas Sampler, other amazing quilts, tablerunner, tree skirt, placemet, mug rug and so much more! Share you love during this magical season by finding just the right blocks to warm the hearts of those you love. Have a Merry Vintage Christmas!